Pieris in the inner courtyard of the National Film and Sound Archive in Acton… they like the same conditions as rhododendrons, camellias and azaleas. SPRING is one of the most exciting times in the gardening calendar and the Pieris family, commonly called pearl bush (the panicles of flowers resembling strings of pearls) provides a special delight this time of the year. Almost all of the original species were collected by English plant hunters from China, Japan and Himalaya in the mid-19th and early-20th century. From these, many hybrid varieties have been cultivated. “Hillier’s Manual of Trees and Shrubs”, the bible of plants, lists more than 50 varieties. I grow several varieties and, as I write, I am looking out at Pieris japonica “Christmas Cheer”, a particularly hardy variety from Japan now covered in rich pink flowers. 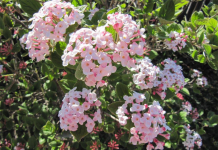 A taller variety is “Forest Flame” with the leaves starting red and changing from creamy-pink to green will have large panicles of white flowers appearing as we go into spring. Other varieties that do well here include “Bert Chandler”, which was bred at his nursery in 1936 in the Victorian Dandenong Ranges. 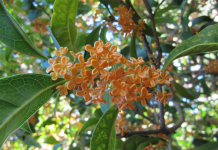 This is a medium shrub that grows up to two metres tall. The young foliage is salmon-pink changing to creamy yellow then white and finally green. Surprisingly, this Pieris is grown mainly for its attractive contrasting leaves. 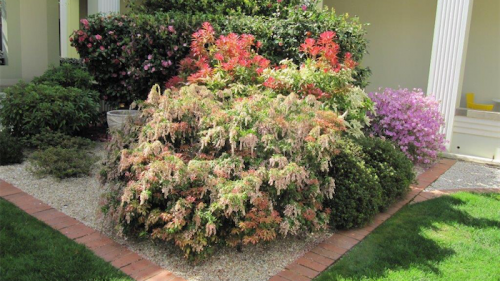 Pieris floribunda is a compact, dense, rounded shrub, also about two metres tall. The greenish-white flower buds provide interest during winter before producing a solid mass of pure white flowers in early spring. Pieris like the same conditions as rhododendrons, camellias and azaleas as illustrated in the photo taken in the inner courtyard of the National Film and Sound Archive in Acton. Orchids… The Orchid Society’s Show is of the most popular events for flower lovers. 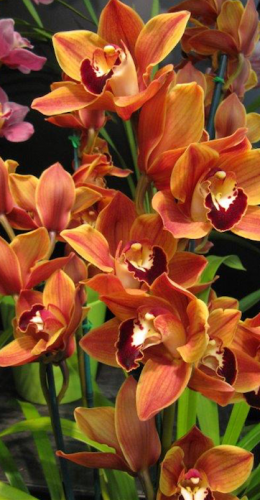 ONE of the most popular events for flower lovers is the Orchid Society of Canberra’s Annual Show, this year at the Ainslie Football Club, 32 Wakefield Avenue, 10am-5pm, on Saturday, September 22 and 10am-4pm on the Sunday. 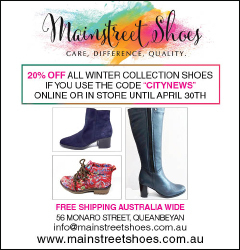 Orchids are one of the two largest plant families in the world with more than 26,000 known species of which there are more than 250 Australian species. From these there is in excess of a staggering 110,000 registered hybrids with more being bred almost on a daily basis somewhere in the world! Orchids have been grown as a popular hobby for centuries, with Confucius, for example, who lived 2500 years ago, known to be an orchid lover. 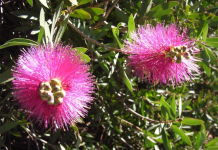 They were also used by ancient societies for both medicinal and culinary purposes. One amazing fact is we would not have Brazil nuts without orchids. The Brazil nut tree has a specialised flower that can be pollinated only by a very special female bee known as the Euglossine bee. The male Euglossine bee relies on a specific orchid species to collect a scent essential to attract and mate with the female bees. Vanilla is derived from the seed capsules of the vanilla orchid, a Mexican species. My thanks to Peter Coyne, of the Orchid Society, for sharing some interesting facts about this amazing plant. Chrysanthemums are just emerging from the ground after their winter sojourn. Now’s the ideal time to dig and divide, as usual to fill in blank spots in the garden with the excess potted up for fetes etcetera. Chrysanths planted out now will flower in the autumn. Likewise, Ajuga reptans or bugle flower with its mass of blue flowers in spring into early summer. Runners can simply be pulled up and replanted as a perfect ground cover for sun or shade. Trained horticulturist and garden designer with over 30 years experience in the industry.